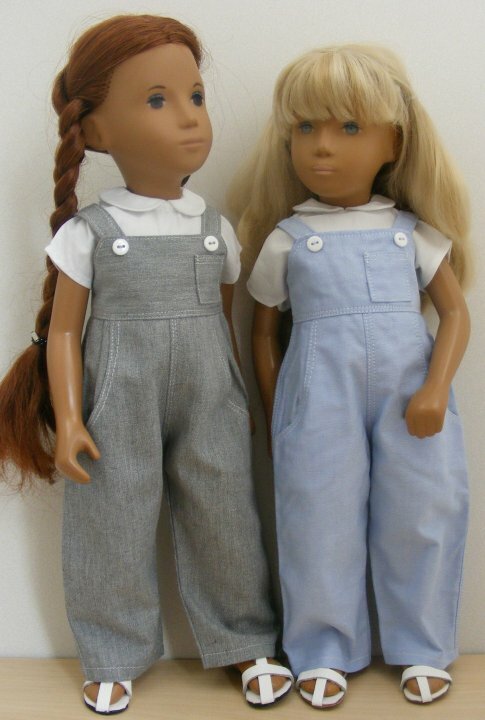 Dungarees: Fabric: light blue/grey chambray. Style: dungarees on a yoke, with white top-stitching and one pocket on the yoke, set on one side. Fastens at the back and front yoke/straps with snaps. White buttons to decorate. Two hip pockets that Sasha's hands can easily slip inside ! Blouse: Fabric: white cotton poplin. 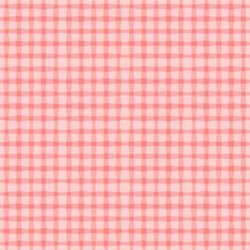 Style: traditional style blouse with Peter Pan collar and back snap fastening. Pants: white cotton lace edged pants. 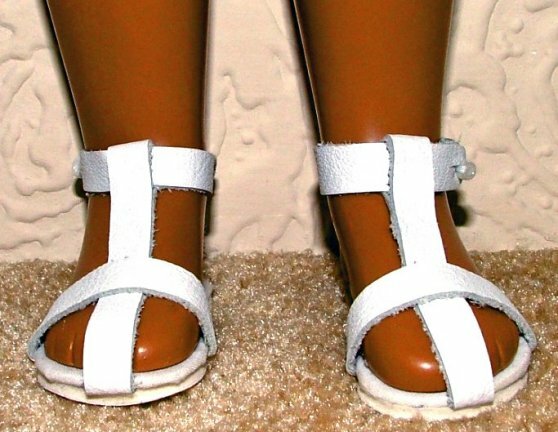 Sandals: Trendon style strappy white leather sandals with bead fastening and leather soles. 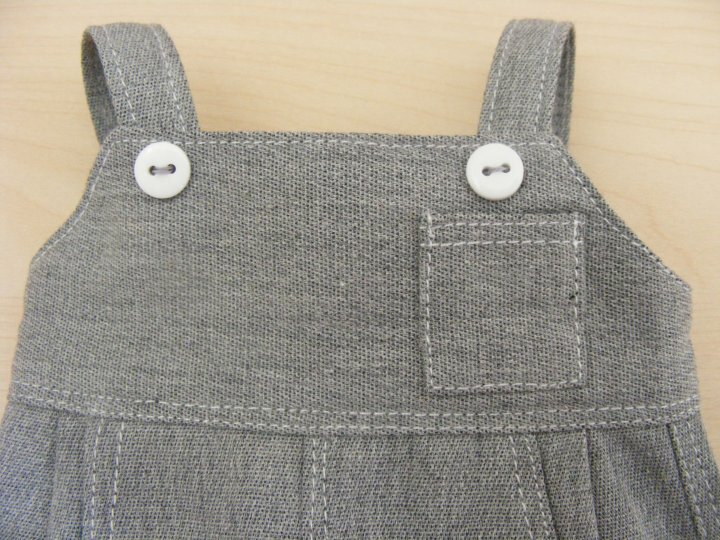 Dungarees: Fabric: Grey chambray type fabric.